Columbia Police Department (CPD) Investigators have arrested a 24-year-old man in connection with this morning’s fatal shooting at Willow Run Apartments. Antonio Vashon Barnes (DOB: August 1994) is charged with Two Counts of Murder and Possession of a Weapon During a Violent Crime and will be housed at the Alvin S. Glenn Detention Center. Investigators believe that Barnes shot and killed a male roommate and a male acquaintance inside the apartment after he heard a commotion in the living room and found the two victims arguing and fighting. CPD consulted with the Fifth Circuit Solicitor’s Office regarding the charges. The Richland County Coroner’s Office will be releasing the names of the victims’ tomorrow. 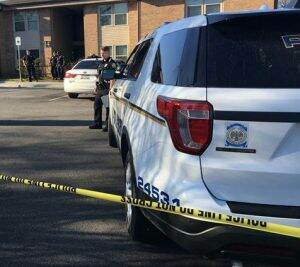 CPD officers were dispatched to 511 Alcott Drive at approximately 9:00 a.m. today after several people called 9-1-1 regarding a shooting at the apartment complex. When officers arrived and located the crime scene, they found the victims unresponsive on the floor of the apartment. Investigators talked with multiple people at the crime scene and interviewed others at CPD Headquarters. Victim advocates who are assigned to the Special Victims Unit assisted with a large crowd of the victims’ family members who arrived on scene after word spread about the shooting.